Two construction companies have been fined £112,000 after their subcontractors were exposed to asbestos fibres during school refurbishment work. Derby Crown Court was told that on 1 August 2016, Oakwood Junior school in Derby was undergoing refurbishment work during the school holidays. Two subcontractors removing suspended ceiling tiles entered a storage room which had a suspended ceiling made from asbestos containing ceiling tiles. They started to remove the tiles, unaware that they contained asbestos, potentially exposing themselves to harmful fibres. A licensed asbestos removal company working on site alerted management to the situation and action was taken to stop the work and deal with the contamination. Investigating, the HSE found that main contractor Ashe Construction Limited failed to effectively plan, manage and monitor the work to prevent the accidental removal of the asbestos containing tiles. 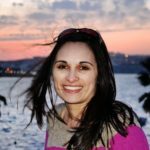 Ashe also failed to effectively communicate information about the asbestos, leaving the storage room open without barriers or signage warning of asbestos. The work was then not suitably managed or monitored to ensure that nobody came into contact with the asbestos. The investigation also revealed that Cladceil Limited, a contractor appointed by Ashe to carry out the suspended ceiling removal work, had failed to effectively plan, manage and monitor the work. The company appointed a subcontractor to remove the suspended ceilings on its behalf but provided only a generic risk assessment and method statement which failed to identify important information, including the asbestos risk. Ashe Construction of Hitchin, Herefordshire pleaded guilty to breaching CDM and safety regulations and was fined £100,000 with costs of £9,759.76. Cladceil Limited of Nottingham pleaded guilty to breaching CDM regulations and was fined £12,000 and ordered to pay costs of £47,184.48. Speaking after the hearing, HSE Inspector Andrew Bowker said: “The exposure to asbestos could so easily have been avoided if the two companies involved had put sufficient effort into planning, managing and monitoring the ceiling tile removal work. 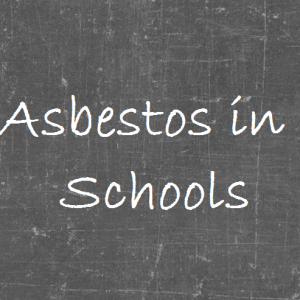 School asbestos fine: Failures lead to over £100,000 in fines HSE found that main contractor failed to effectively plan, manage and monitor the work to prevent the accidental removal of the asbestos containing tiles.